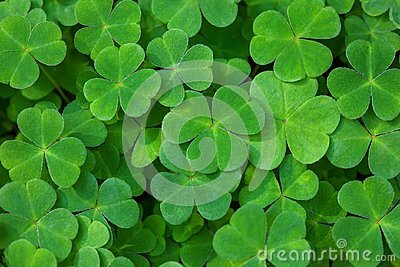 Green background with three-leaved shamrocks. St. Patrick`s day holiday symbol. Shallow DOF. Selective focus.